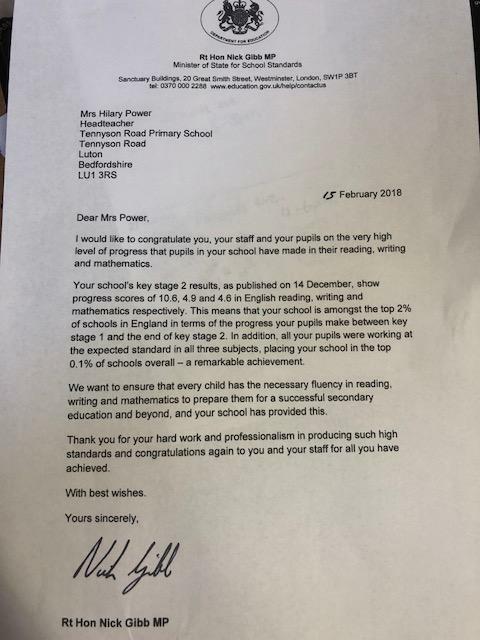 We were delighted to receive a letter in the post from the Rt Hon Nick Gibb MP, Minister of State for School Standards. He was congratulating us on our fantastic achievements. Our end of year results for the academic year 2016-17 put us in the top 0.1% of schools overall, as Nick Gibb says this is a remarkable achievement. Well done to all our pupils and staff.